Mahamat Adam, a fisherman and a father of eight, who lives on a small island on Lake Chad and comes to Bol, in Chad, occasionally to sell his fish at the local market. With the peak of the crisis over in the Lac region of Chad, Médecins Sans Frontières (MSF) took the decision to gradually wind down its activities in the area between 2017 and June 2018. 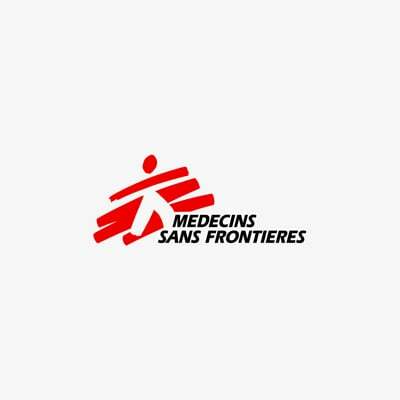 In order to ensure the continuity of services previously provided by MSF, the withdrawal was carried out in collaboration with the Ministry of Health and other humanitarian organisations present in the region. Here, we look back at the crisis and MSF’s response over the last three years. In 2013, the Lake Chad region began to descend into a serious humanitarian crisis. Around the shores of the lake, in Niger, Nigeria, Cameroon and Chad, hundreds of thousands of people were forced to flee their homes to escape incessant violence, brutal attacks, looting, the systematic destruction of entire villages, military operations, and fighting between military forces and armed groups. Two years later, in 2015, according to figures from the United Nations High Commissioner for Refugees (UNHCR), there were almost 1.4 million displaced people in the north of Nigeria, and approximately 170,000 had fled from Nigeria into Cameroon (56,000), Chad (14,000) and Niger (100,000). A year later, there were more than 125,000 displaced people, returnees and refugees in Chad’s Lac region alone. Living conditions were so precarious that their survival was at risk. MSF began its intervention in March 2015. Two projects were set up – in Bol and Baga Sola – to fill the healthcare vacuum in the region and address the urgent needs of a population on the run that had lost everything. MSF teams provided relief to hundreds of thousands of people living in precarious conditions, in shelters made from straw, without access to drinking water or healthcare, and with no food, resources, or water and sanitation. A free medical consultation at an MSF mobile clinic for locals and displaced people living in Koulkimé, in Chad's Lac region, in May 2018. Most of the patients treated presented with conditions linked to the failing sanitation system, the shortages of food and drinking water, and the lack of proper shelter or medical services. Many other conditions were not visible, but had left much deeper scars: people’s mental health was severely affected by the violence experienced, brutal acts such as torture or abduction, or the trauma of leaving everything behind and seeing their families torn apart. Between 2015 and 2018, MSF ran mobile clinics in the areas around Baga Sola, Bol, Liwa and Kiskawa to provide basic heathcare and mental health support to both displaced and local people. MSF also supported the health centre in Tchoukoutalia and offered mental healthcare to Nigerian refugees at Dar es Salam camp. In Bol, MSF upgraded the operating theatre and maternity ward at the regional hospital, where teams also supported the paediatric and nutrition departments. Elsewhere, teams helped with the maternity ward and maternal health promotion activities on Fitiné and Bougourmi islands and in the district of Sawa. In collaboration with the Ministry of Health, 3,861 antenatal consultations and 1,036 deliveries under medical supervision were carried out in Bol between 2015 and 2018. The MSF teams also provided support and assistance following the deadly attacks in Baga Sola in October 2015 and on the island of Kelfoua in December 2015. A child is examine at an MSF mobile clinic for locals and displaced people living in Koulkimé, in Chad's Lac region, in May 2018. After the extreme humanitarian emergency in the Lac region between 2015 and 2016, the area has now entered a phase of relative respite. Despite the continuing attacks that still sporadically destabilise the Lake’s outer island zone, and the socioeconomic fragility that persists, the peak of the emergency is receding. The conditions of the displaced population have improved with the presence of other humanitarian organisations, and many are returning home. Almost 51,000 have returned to their villages, according to the International Organization for Migration. However, the humanitarian needs remain and there is still a need for long-term services and solutions to allow returnees to reintegrate safely and with dignity. During the withdrawal process, MSF trained staff at the regional hospital of Bol and the health centres around Bol and Baga Sola, and also donated medicines. At Liwa health centre, the MSF team built a 10-bed inpatient ward, and has provided biomedical equipment and training for the staff. With humanitarian needs still present in the Lac region, MSF remains vigilant, with teams deployed in the region to assess the needs of the population and guarantee access to care where necessary. MSF is still present in the east and south of Chad and has an emergency response unit (CERU) capable of delivering medical care in under 72 hours. In Am Timan, in the region of Salamat, MSF will support the hospital during the peak of the food crisis until the end of October 2018, treating cases of severe malnutrition with medical complications. Teams will also assist the neonatal and maternity services in the event of complicated deliveries. Activities are continuing in Moissala, and MSF has begun offering medical assistance to refugees from the Central African Republic in Logone Oriental region. MSF teams are also present in a number of locations in the other three countries that border Lake Chad. In northern Nigeria, MSF is providing essential medical aid to displaced communities and host populations in the states of Borno and Yobe. Teams are working in health facilities in Maroua, Mora and Kousséri in the north of Cameroon. And vital medical assistance is being provided in the Diffa region of Niger.